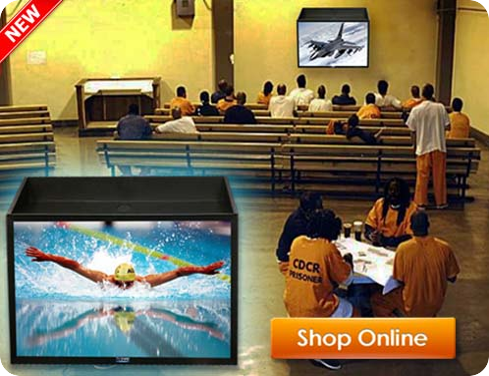 Suitable for hospitals, mental institutions, correctional facilities, care homes, schools and more. 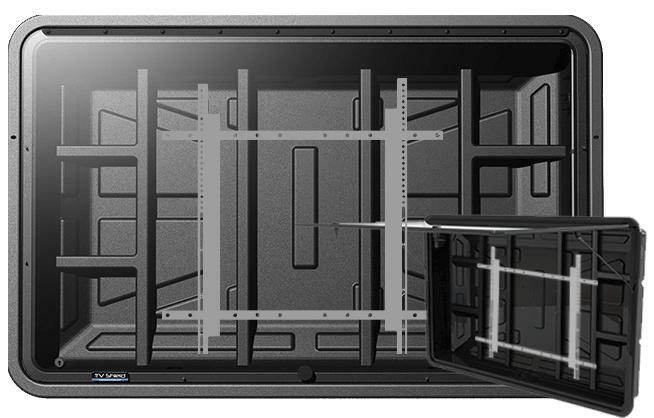 The TV Shield PROTM is a weatherproof, secure and robust protective outdoor TV enclosure and digital signage cabinet that was researched, designed, engineered and is manufactured in the USA. The "hybrid" design is built with a combination of lightweight aluminum and steel which is powder-coated for the ultimate strength and durability in environmental TV protection. 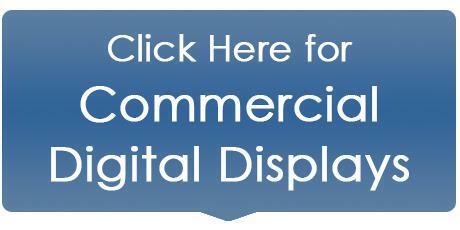 Designed for use with any standard indoor TV or digital display, it is ideal for residential, commercial and professional markets, and has numerous proprietary features based on extensive customer feedback. 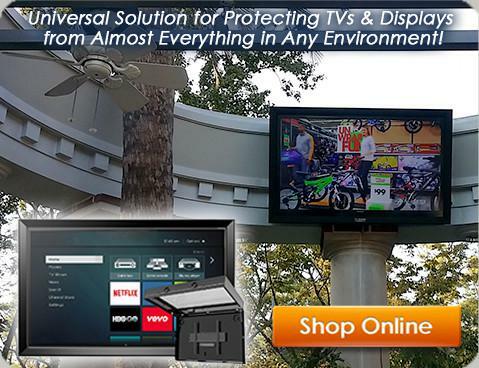 Developed for outdoor areas, The TV Shield PRO's proprietary "Quick Install" system is faster to install and maintain than any other metal TV enclosure and effortlessly opens with gas shocks for easy access to the display. 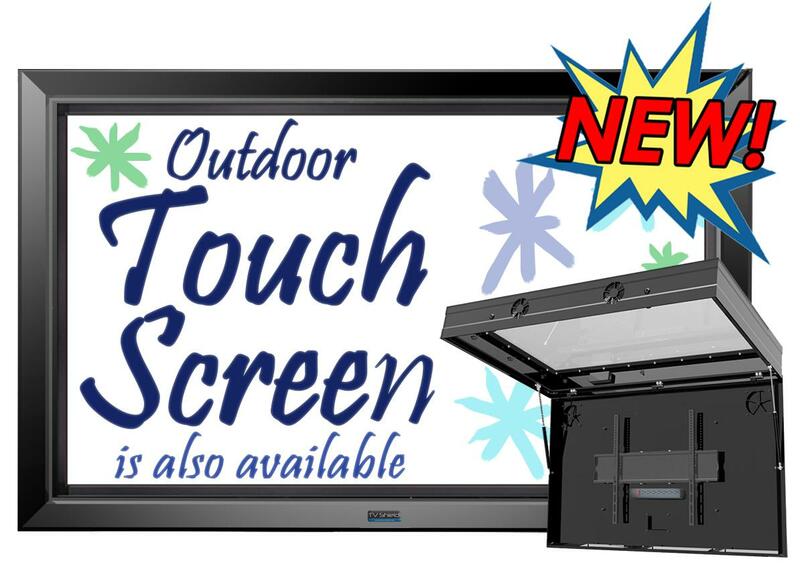 The included internal full motion, fully articulating mount with depth and height adjustment allows for perfect placement of the screen as well as easy access to the back of the display and inputs after it is mounted (unlike most alternative outdoor TV cabinets), and is specifically engineered to be a superior solution for our worldwide customer base. 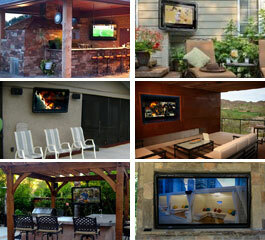 In addition, The TV Shield PRO outdoor LED TV enclosure can be used with any external standard VESA mount. The entire unit is secured with dual high strength chambered key locks and comes standard with a thermostatically controlled and filtered air circulation system. 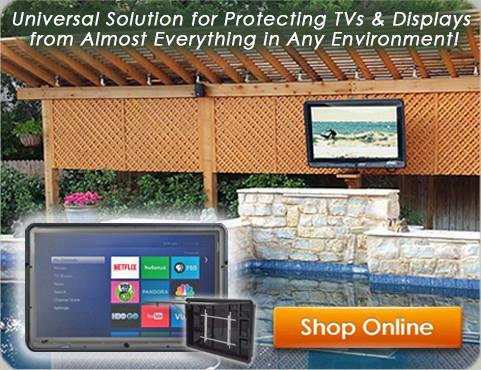 The TV Shield PRO professional-grade weatherproof digital display and outdoor LED TV enclosure, comes standard with an anti-glare polycarbonate protective front shield and has larger size options up to an industry-first 85 inches. 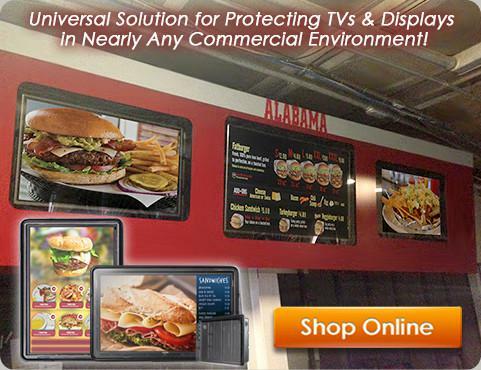 The TV Shield PRO Touch is a weatherproof, secure and robust outdoor touch screen display and weatherproof TV enclosure that is made in the USA. We have combined The TV Shield PRO enclosure and our IP-65 rated IR touch frame to offer the best solution for outdoor touch screen needs. 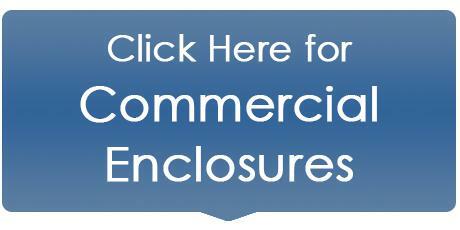 PEC’s affordable, durable, secure, patented, outdoor display enclosures and digital signage cabinet offer protection against water (rain, pool splashes, sprinklers, wash downs, and more), condensation, moisture, mildew, heat, cold, dust, grime, bugs, flying objects, tampering and theft. 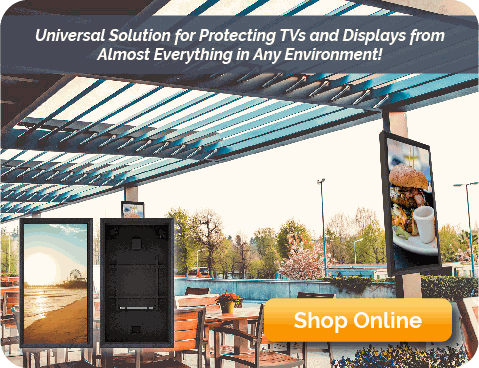 From easy maintenance and input(s) access, to install friendly designs and even vertical display case options, PEC’s commercial and professional weatherproof TV enclosures are the top of the line in outdoor TV, digital signage and display protection, without a top of the line price. 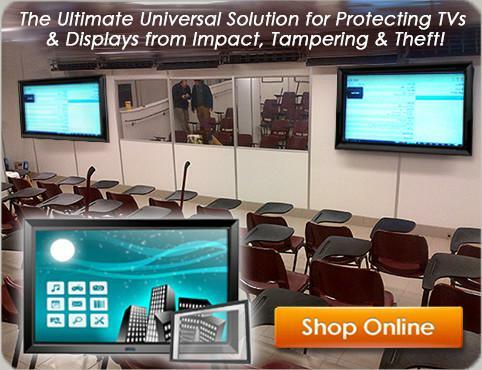 PEC’s enclosures now protect TVs and video displays in over 23,000 residential and commercial locations/environments from the US ARMY Institute for Chemical Research, to mines in Chile and 38+ countries worldwide. 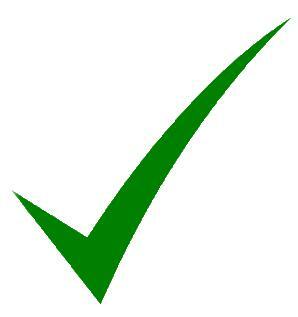 Affordable outdoor TV alternative – SAVE thousand(s)!